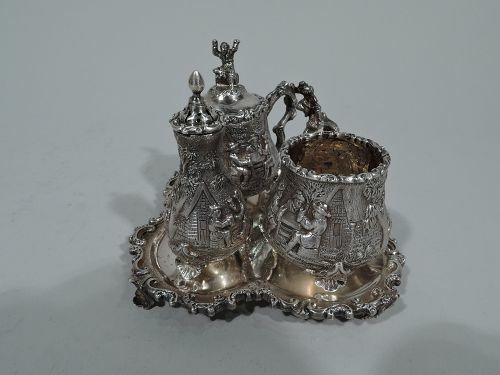 Travel back in history to the 1800s with 19th century silver antiques. 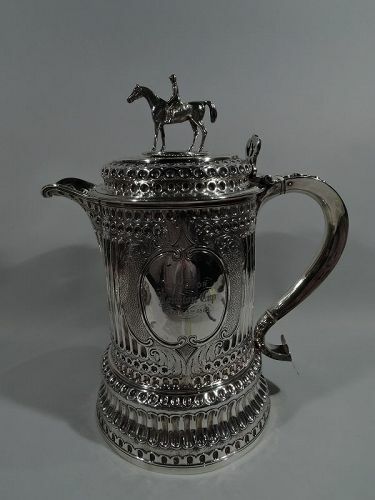 Some of our sterling silver include dining supplies like sugar baskets and teapots, decanters, silver overlay, trophies, and more. 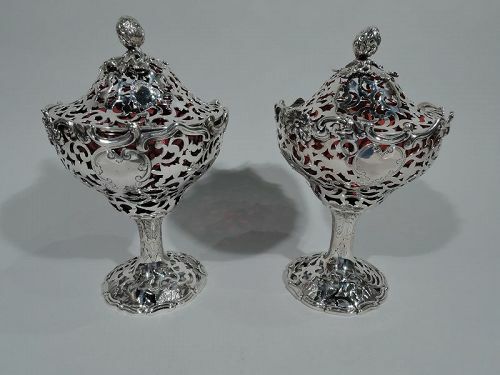 Each piece has gorgeous detailing and is made from English sterling silver. 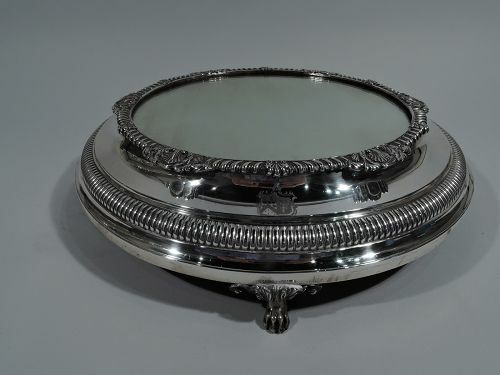 Nelson and Nelson can help you expand your 19th century silver antiques collection. 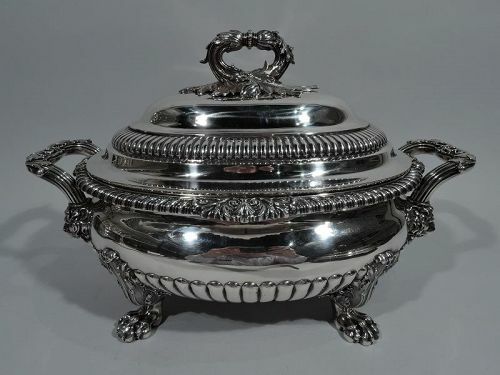 Fabulous and fashionable Regency sterling silver tureen. 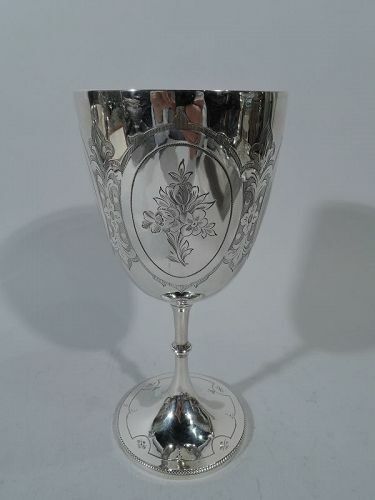 Made by Paul Storr in London in 1822. 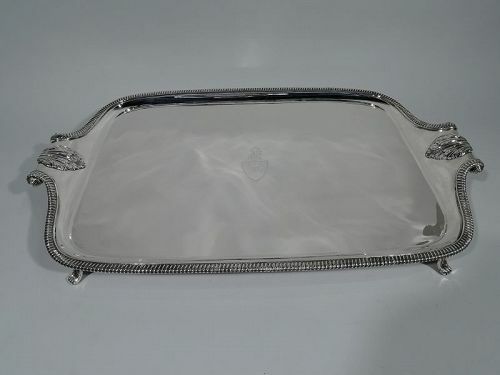 Bellied oval with double-domed cover. Gadrooning and leafy shells. Leaf-capped and reeded scroll bracket end handles with lion’s head mounts. Four leaf-mounted paw supports. 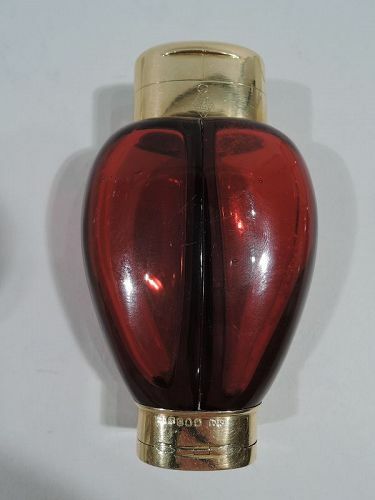 Cover has same leaf-capped and reeded ring handle on leaf mount. Bold Classicism by the English master. With detachable plated liner. Fully marked. Fine condition. 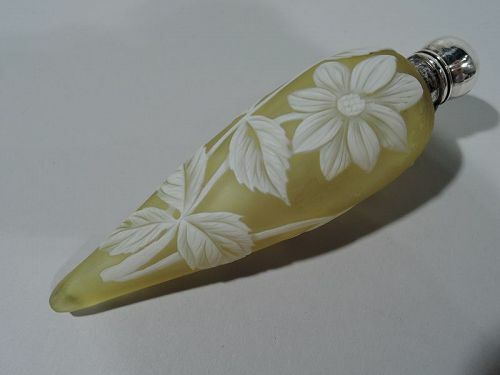 Victorian cameo glass perfume with sterling silver mount. 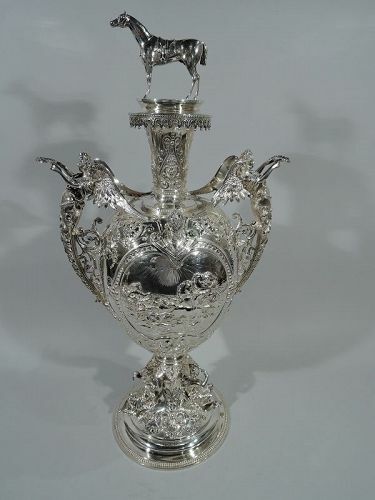 Made by Arthur Wilmore Pennington in Birmingham in 1886. Yellow v-form vial with raised white stem flowers and butterfly. Sterling silver collar and hinged cover. Clear glass stopper. Hallmarked. Very good condition. 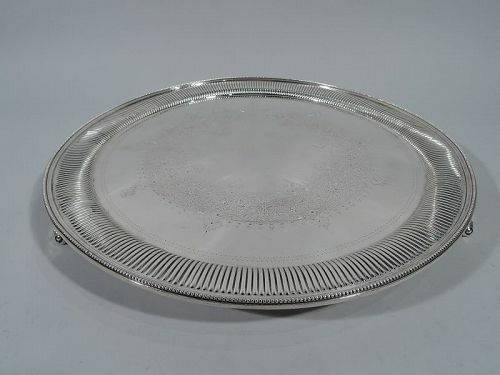 Victorian sterling silver salver. 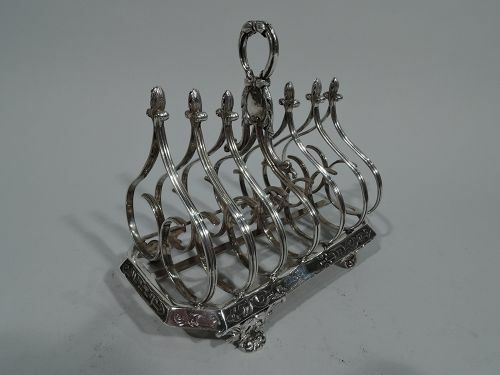 Made by Martin, Hall & Co. Ltd in London in 1892. Round with beaded rim and ribbed shoulder. Engraved strapwork wreath with flowers and foliage (center vacant). Three volute-scroll supports. Hallmarked. Very good condition.